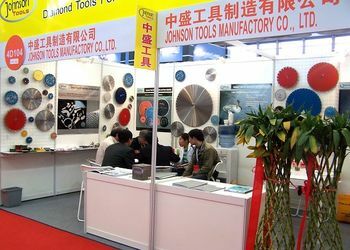 Established in 2000 year, our company Johnson Tools Manufactory Co.,Ltd started to manufacture and export diamond tools for stone and construction industry for worldwide countries. 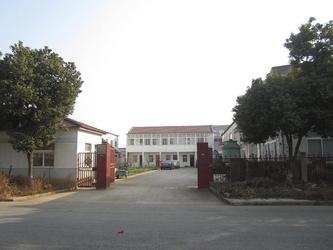 Since 2005 year, we established our own import and export company, named Johnson Import and Export Co.,Ltd. 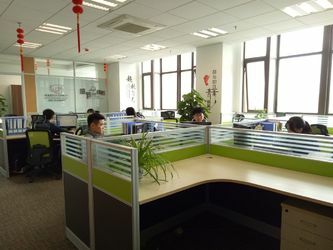 We enjoy good reputation among customers with trustworthy product quality and creditable service. Provide good quality diamond tools on sawing, grinding, polishing and drilling industry. 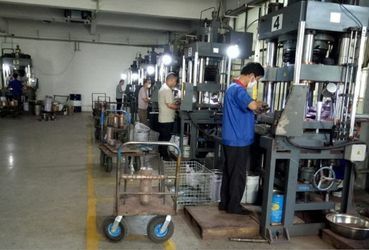 We are processing advanced production equipment, modern checking system, strict management and a strong technical force with the combination of many skilled workers and technical engineers. To provide our customers with satisfactory diamond cutting tools. 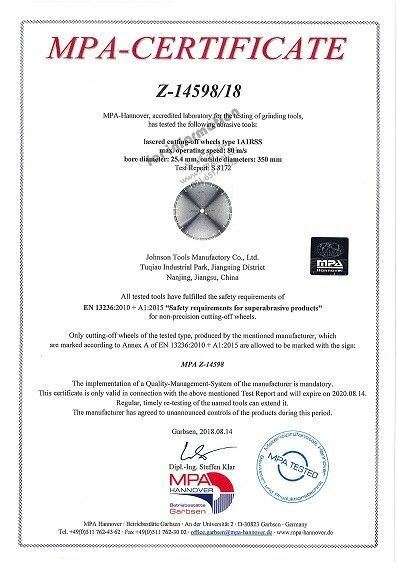 And our laser saw blade has passed the testing of Germany Hannover, get MPA Certificate Z-14598/18. 1) Laser welded Wall Saw Blade. 2) Laser Welded Floor saw blade. 3) Laser Welded Concrete Saw Blade. 4) Laser Welded Aspahlt saw blade. 5) Laser Welded Ring saw blade. 6) Laser Welded Loop saw blade. 7) Laser Welded Stone saw blade. 8) Laser Welded Tuck Point saw blade. 1) Sintered Segmented saw blade. 2) Sintered Continuous Rim saw blade. 3) Sintered Turbo saw blade. 4) Sintered Turbo Wave saw blade. 5) Sintered Tuck Point saw blade. 6) Sintered Ceramic, Tile saw blade. 1) Electroplated diamond circular saw blade. 2) Electroplated diamond grinding wheels. 4) Electroplated diamond mounted points. 5) Electroplated diamond core bits. 1) Diamond Single type cup wheel. 2) Diamond Double type cup wheel. 3) Diamond Turbo cup wheel. 4) Diamond Swirl cup wheel. 6) Diamond grinding head, diamond grinding disc, Diamond grinding block. 7) Diamond fickert abrasives and Diamond Frankfurt Abrasives. 1) Diamond Polishing pad(wet and dry, convex, concrete and hand). 2) Diamond drum wheels. Diamond lapping paper(resin bond and electroplated). 1) For Circular Saw blade or Multi saw blade. 3) For Diamond Grinding wheels. 4) For Diamond Core Drill Bits. 7. Vacuum Brazed Diamond Tools. 1) Vacuum brazed diamond hand profile wheel. 2) Vacuum brazed diamond router bit. 3) Vacuum brazed diamond profile wheel. 4) Vacuum brazed diamond milling bit. 5) Vacuum brazed diamond graver. 6) Vacuum brazed drill bits. 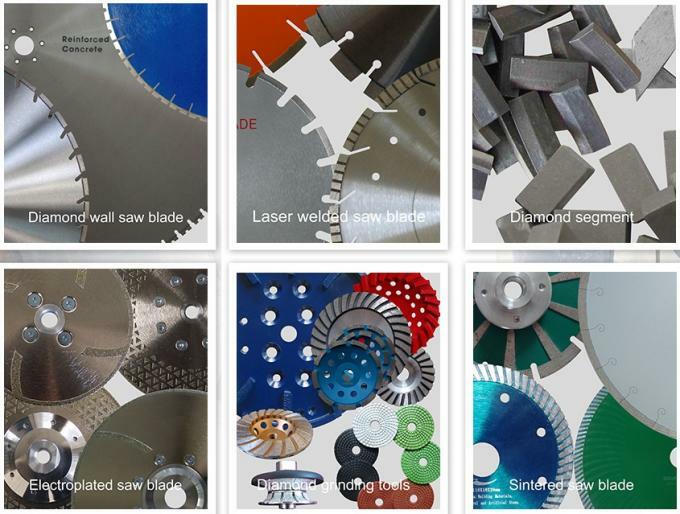 7) Vacuum brazed diamond saw blade, Vacuum brazed diamond beads, etc. 8. Diamond Core Drill Bits for stone, construction industry. 9. TCT Circular Saw Blade. Cutting, Drilling, Grinding and Polishing materials. 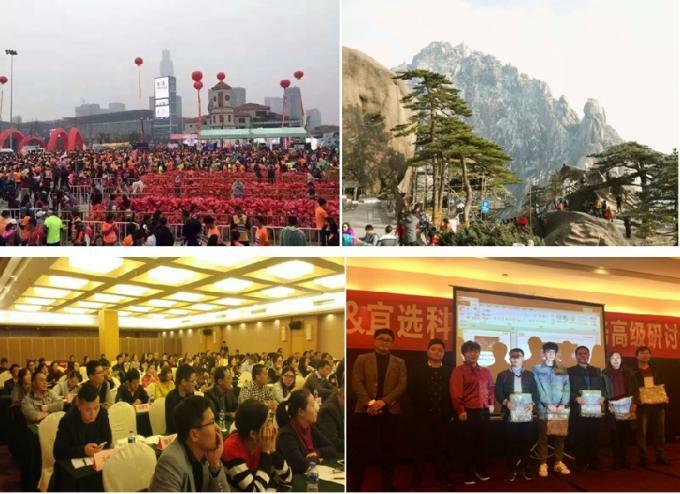 Marble, Granite, Sandstone, Limestone, Grit stone, Basalt, Lava stone, Bluestone, Concrete, Cured concrete, (heavy) Reinforced concrete, Green concrete, Precast concrete, Pre-stressed concrete, asphalt, Brick or block, Fire birck, Refractory Brick, etc. Provide the most suitable diamond tools and quickly service. 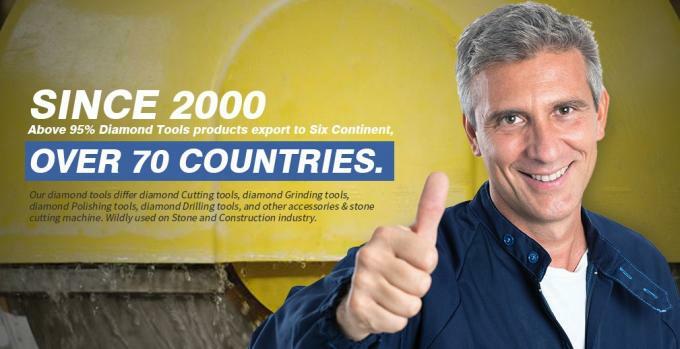 Johnson Tools Manufactory Co.,Ltd are established on 2000, manufacture and export diamond tools for stone working and construction industry for worldwide countries. Since 2010 year, we establisehd our owe Import and Export company, names Suzhou Johnson Improt and Export Co.,Ltd. 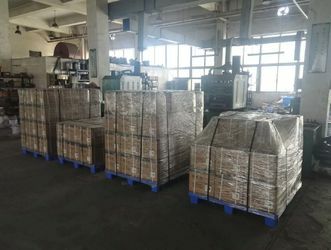 export our diamond saw blade, Grinding wheel, Polishing pad, Diamond segment, TCT saw blade, Saw blade blank, Stone Cutting Machine, etc. 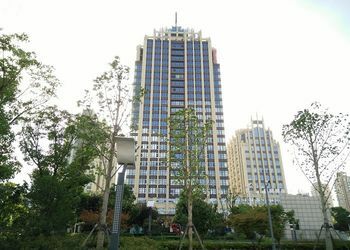 We enjoy good reputation among customers with trustworthy product quality and creditable service. Provide good quality diamond tools on sawing, drilling, grinding and polishing industry. Sincerely looking forward to having an opportunity to serve you and become your partne. 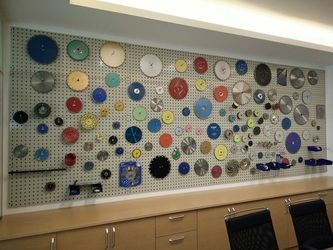 Johnson Tools Manufactory Co.,Ltd is engaging in manufacturing and exporting diamond tools products, including diamond saw blade series (Laser welded Wall saw blade, Floor saw blade, Loop saw blade, Ring saw blade, Hand saw blade, Sintered segment saw blade, Sintered continuous saw blade, Sintered turbo saw blade, Electropalted saw blade, Tuck point saw blade, Concave saw blade, etc), Grinding wheels, Polishing pad, Diamond segments, and also stone cutting machine to worldwide in more than 50 countries. Europe: UK, Germany, Sweden, CZ, Netherlands, Spain, Norway, Hungary, France, Poland, Russia, Lithuania, Ireland, Iceland, Bulgaria, Denmark, Croatia, Rumania, Malta, Moldova, Servia,etc. America: USA, Canada, Brazil, Chile, Columbia, Panama, Mexico, Argentina, Peru, Uruguay, etc. Africa: Egypt, South Africa, Kenya, Morocco, Algeria, Uganda,etc. Asia: Turkey, Thailand, Singapore, Bahrain, Iran, Indonesia,Yemen, India, Phillips, Malaysia, Vietnam, Israel, Armenia, Georgia,UAE, Qatar, Kazakhstan, etc. 16+ focus on diamond tools products. 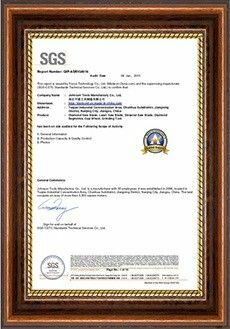 Strictly detection from raw materials to shipping. Well approved by our worldwide clients more than 70 countries. One-Day reply to your inquiry and question. 7days/24hours online. No MOQ limited, Flexible Payment Terms. One-Stop OEM/ODM solution for diamond tools field. 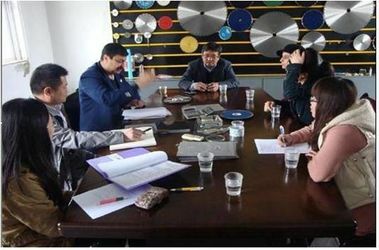 Established on 2000, nearly 16 years producing and exporting experience on diamond saw blade: Laser welded saw blade, Wall saw blade, Floor saw blade, Sintered segments saw blade, Sintered continuous rim saw blade, Sintered turbo saw blade, Electroplated saw blade, Vacuum brazed saw blade, Tuck Point saw blade, Grinding wheels, Polishing pad, Diamond segments, also stone cutting machine, etc. Stable quality and competitive prices. Engineers have many years diamond tools producing experience; we have confidence to design the right formula products to you. Our aim: Provide the most suitable diamond tools and quickly service.